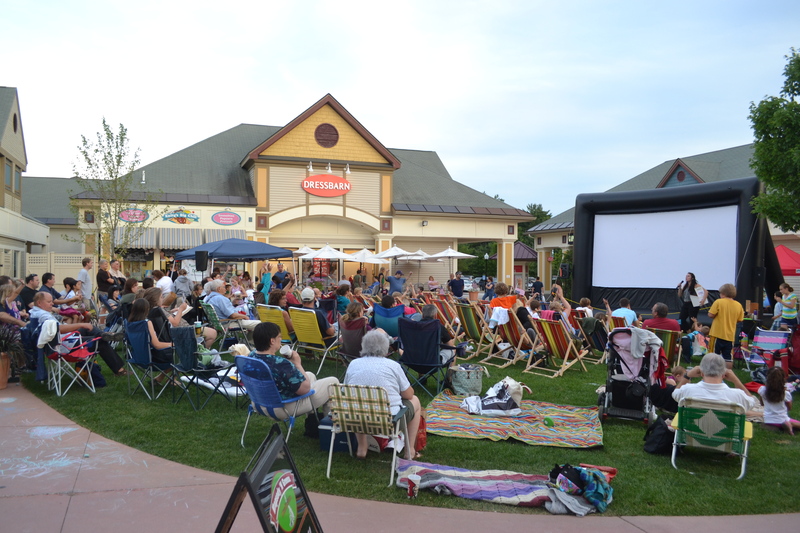 Visit Settlers Green in North Conway by Timberland Factory Store and Kay Jewelers on Tuesday nights starting July 11th and ending August 22nd for Movies on the Green. This is a free family fun event with yard games, face painting, and music starting at 6 p.m. and a family-friendly movie starting at dark. Guests may grab a seat in one of our comfy chairs (while they last, there are 30 available) or may bring their own to get comfortable. Pre-movie entertainment: Story Land Character Visit from Peter Pan and Tinkerbell 7-8 p.m.
Pre-movie entertainment: Story Land Character Visit from Cinderella and Little Bo Peep 7-8 p.m.
Pre-movie entertainment: Free balloon twists from The Balloon Dude from 6-8 p.m.
For more information, call Settlers Green at (603) 356-7031 or visit them on the web at http://www.settlersgreen.com/events. Press Release by Laura Tuveson, OVP Management, Inc.
April 5, 2017 (North Conway, NH) – Francesca’s Outlet, a boutique shop that specializes in jewelry, dresses and shoes, is the latest store to be announced for Settlers Green Streetside, the 50,000 square foot expansion project at Settlers Green that is currently under construction. Francesca’s brand offers an eclectic mix of carefully-curated clothing, bright baubles, bold accessories, and playful gifts. Established in 1999, in Houston, Texas, the company now has 670+ boutiques in 48 states. Francesca’s joins Columbia Sportswear Outlet and Polo Ralph Lauren as new stores opening at Settlers Green Streetside. Settlers Green Outlet Village has its fair share of new stores coming in including Express Factory Store and Corningware, Corelle & More expected to open this spring. In addition, Waterford Wedgwood Royal Doulton has relocated within Settlers Green Outlet Village to Suite C22 and Brooks Brothers Factory Store will soon be relocated to Suite C8. There is also a new restaurant opening on April 20 at Settlers Corner. Wicked Fresh Burgers will serve up fresh ingredients on its original menu of burgers, hand cut fries, and shakes. The addition of Settlers Green Streetside will increase Settlers Green to 300,000 square feet of commercial retail development. Settlers Green Streetside is expected to open this summer. It will have a total of 10 brands including a new concept restaurant featuring an extensive list of craft beers from around New England and the world. OVP Management, Inc., a Newton, Massachusetts based real estate development company, has developed over 500,000 square feet of commercial properties in North Conway, including Settlers Crossing and Settlers Corner. North Conway, NH: In early February, Settlers Green announced a Request for Proposals for Art/Craftwork (RFP) for new or existing artworks to grace both the existing shopping center and the new Streetside expansion. The deadline for submissions is May 1, 2017 and General Manager, Dot Seybold, encourages local, state and regional artists to enter existing works of art as well as proposals for commissioned pieces. “We have received inquiries from fabulous artists working in all kinds of media from metal and stone for sculptors to muralists working with digitally printed images. It’s been so interesting talk with and meet these accomplished artists. “stated Seybold. The RFP can be downloaded from the Settlers Green Streetside Art RFP website at http://www.settlersgreen.com/settlers-green-streetside-art-rfp. Artists will find the actual application, along with the original press release and additional information within this page. As construction on Streetside continues, Settlers Green is planning the grand opening celebration to include arts related activities and celebrations including music, dance and original art on display. “We are really excited about this project and look forward to sharing it with the community.” Seybold added. Interested artists can contact Dot Seybold at dot@ovpmanagement.com with any additional questions. Please limit correspondence to email. Settlers’ Green is hosting a fun Easter event on Saturday, April 4, from 10 a.m. until 2 p.m. for children and their families. Visit Customer Service center from Brandli’s Pizza Grille to receive a free Easter treasure map that leads to select stores for special treats. Children 12 and under will also get a coloring book and chocolate, and can participate in our free crafting event. Volunteers from the Mt. Washington Valley Children’s Museum will be on hand to help children and their parents decorate an Easter egg to take home. The egg and all decorating materials are provided by Settlers’ Green at no charge, one per participant while supplies last. The crafting event takes place in Suite C22, right next door to Customer Service. For more information, please call 356-7031, ext. 100 or visit settlersgreen.com/events. 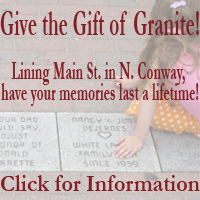 There is no better place to shop than North Conway, NH! The Mt. Washington Valley Chamber of Commerce, Settlers’ Green Outlet Village and The Shops of North Conway Village want to welcome you to NH’s shopping mecca, offering tax-free outlet and boutique shopping! This weekly newsletter will provide shopping tips and ideas throughout North Conway, NH, along with local event listings, shopping packages and more! We can’t wait to welcome you as you plan your next shopping getaway! The 17th Annual Return of the Pumpkin People is here! Follow the map of businesses displaying their unique pumpkin people and have your picture taken with all the different people and be sure to see the awesome display Settlers’ Green set-up! Even tag them on your Instagram with #SGpumpkinpeople! Oct. 9-13: Sidewalk Sales at Settlers’ Green! Enjoy special packages that offer an array of accommodations, breakfast, gift certificates, dining vouchers and more! Enjoy a one overnight stay with two canvas gift totes filled with goodies, dinner vouchers for two and an after dinner treat. Have fun on a two night stay including complimentary dinner from the Ledges Dining Room menu for one night, breakfast each morning and a gift bag filled with goodies and shopping coupons. Enjoy an overnight stay including a breakfast buffet, a shopping tote bag, filled with goodies, emergency shopping supplies and a coupon booklet. Enjoy one nights lodging, a gift certificate for dinner at your choice of one of three of their local favorite restaurants, and a Settler’s Green Coupon Book with savings throughout the outlet stores. Don’t hesitate to call our concierge at 800-367-3364. Stop at our North Conway Information Booth when arriving in the Mt Washington Valley. hop and Snap! Submit Photos and Win Gift Certificates! #ShopMWV. 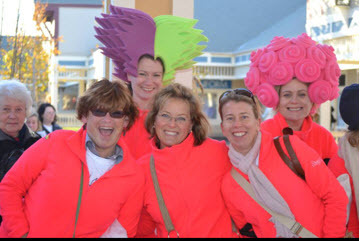 Submit photos of your #ShopMWV fun and be entered to win great prizes! Share your shopping vacation photos to the Chamber’s Facebook, Twitter and on your Instagram account, tagging #ShopMWV. Instagram and for your shopping photos on our social media sites. Every two weeks we will choose the winning photos! If you win, you will be featured in the next Shop Talk newsletter, winning gift certificates to local shops and restaurants! 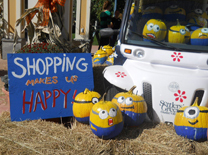 October is the most colorful month for shopping in North Conway, NH! Fall foliage is decorating the North Conway Village and Settlers’ Green Outlet Village. The stores and shops are are adorned in their Halloween and fall decor and the weather is just right to walk from shop to shop without becoming too hot or too cold. While all of those things add up to a perfect recipe for shopping, the best part of fall shopping in North Conway, NH is building a new wardrobe, just in time for the holiday season! For photos of all our “What’s Hots for Women” holiday looks, spend some time on our “What’s Hot” Pinterest board! For a complete list of all that’s hot for women this season ranging from the perfect pair of jeans to athletic wear to skin care and more in North Conway, click here! 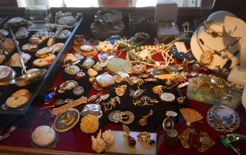 North Country Fair Jewelershas an extensive array of one-of-a kind estate and antique jewelry, perfect for your holiday look! Athletes! 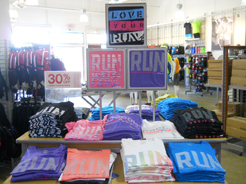 Reebok in Settlers’ Green has clothing options that will make you” love your run” even more! All with fun colors and designs. We in Mt Washington Valley are pretty sure we love shopping just as much as you do! We live in a shopping Mecca, and it’s tax free too! Yet we know at times planning for the perfect shopping trip is sometimes like assembling a complicated puzzle. So we have the answer! To make your shopping get-away in North Conway, NH as seamless as the new leggings being featured at Chico’s in Settlers’ Green Outlet Village, we’re sharing five great tips for creating the perfect shopping getaway! Remember, North Conway Village and Settlers’ Green have everything you need to help you put together your best look and have fun along the way too! Read more to get the whole scoop on putting the pieces of the puzzle together for your best look! With cooler weather on the way, fun sweaters are not far behind. Chunky sweaters and leggings are expected to be all the rage this winter. Wearing this season’s most fashionable look doesn’t have to be as hard or as expensive as you might think. Put together a gorgeous fall outfit, playing off of the season’s colors and style with chunky sweaters and a few of these style saving tips! Click here for a complete list of deals and sales racks throughout North Conway and Settlers’ Green Outlet Village! Put together a look that is right off the runway without the runway budget in North Conway this holiday season, with these shops featuring chunky sweaters and more. 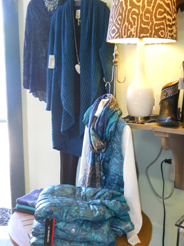 has beautiful fall sweaters and very cool boots displayed throughout this boutique store. are all shops in North Conway offering fall’s hottest looks including many chunky sweaters of various styles and colors, plus leggings (even fleece lined ones!) for your fall and winter wardrobe! 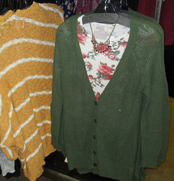 Visit Pac Sun in Settlers’ Green Outlet Village for trendy and fun sweater options at outlet prices! Banana Republic, Levis, Chico‘s, Bass, American Eagle, J. Crew and Van Heusen are great options for both casual wear and work clothes for those on a budget this winter. And great outfit ideas too! Dock Dogs at Settlers’ Green Outlet Village! Join Settlers’ Green Outlet Village for their Dock Dogs Competition THIS weekend! Enjoy a canine aquatics performance sport for dogs! Events include big air, extreme vertical and speed retrieve along with dog gifts and pet friendly vendors, including Auntie Cindy’s Albany Pet Care, Silver Paw Pet Tags and more! No experience is necessary! Come out for a day of fun with your four-legged friend. Proceeds benefit Conway Area Humane Society. Two lucky winners will be drawn in a month-long sweepstakes taking place at Settlers’ Green Outlet Village and Settlers’ Crossing. A male and female winner will be selected to win complete outfitting, head-to-toe, provided by three of the shopping centers’ outdoor adventure brands including Eastern Mountain Sports, Eddie Bauer Outlet and Timberland Factory Store. “The Hiker’s Guide to North Conway” Adventure Sweepstakes is a partnership between the shopping centers, the Appalachian Mountain Club and Mount Washington Observatory to promote hiking opportunities in the North Conway area. As part of the prize package, AMC is offering an overnight hut stay in the White Mountains to each selected winner. The Mount Washington Observatory will provide an Observatory Membership Card to each winner as well as day hiking backpacks. The sweepstakes runs March 1-31, 2014. No purchase is necessary and the public can enter as often as it wants throughout the sweepstakes. Look for ballots and entry boxes inside the Eastern Mountain Sports store at Settlers’ Crossing and just outside the Timberland Factory Store at Settlers’ Green Outlet Village. Both shopping centers are located within a quarter-mile of each other on Route 16 in North Conway. Shopping in Mt. 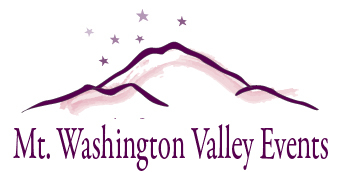 Washington Valley, Summertime Fun in MWV! Diva Week begins Monday, July 22 at Settlers’ Green Outlet Village, featuring daily in-store events at participating stores, daily raffles at the mall’s Customer Service Office and a free morning yoga class at the mall, all leading up to the big 500 shopping bag giveaway on Saturday, July 27. Chico’s will host a 10-minute “Slim Secrets Seminar” on what styles and clothes best fit you, running Monday through Thursday during Diva Week from 10-11 a.m. Kay Jewelers will host an hour-long “How-to Clinic on Jewelry Care” on Monday, Friday and Saturday at 11 a.m. and 5 p.m. Waterford Wedgwood Royal Doulton will have a Trivia Event on Wednesday and Friday at 1 p.m. with three sets of prizes including a $50 gift certificate to its store. Also, Brookstone will host three theme days: Diva Toy Day, Diva Tech Day and Diva Spa Day, Thursday through Saturday, respectively. For complete in-store event details, visit settlersgreen.com. The mall will host a free yoga class at 9 a.m. on Wednesday, July 24 with Nichole Gould of North Conway’s Barefoot Warrior Yoga Studio and Be Well Studios. Attendees are encouraged to bring their own yoga mat. There will be 20 yoga mats available on a first-come, first-served basis. The hour-long session will take place near the gazebo in the center of the village. On Saturday, July 27, the mall wraps up Diva Week with a 500 shopping bag giveaway available to the first 500 customers starting at 11 a.m.; the bags will include free samples and coupons from many of the 60-plus outlet stores at Settlers’ Green as well as Settlers’ Crossing. Light refreshments from Starbucks will be available underneath the tent “on the green,” along with entertainment by DJ Kristen Corrigan and hourly raffle prize giveaways. Free mugs will be available for “Divas Dressed in Style” while supplies last. The event wraps up at 3 p.m.
For more information about events at Settlers’ Green Outlet Village, including Movies on the Green, hosted every Tuesday night through August, visit settlersgreen.com. Life in Mt. Washington Valley NH, Summertime Fun in MWV! The series commences with Dr. Seuss’ The Lorax (NBC Universal, 86 minutes) and will include popular movies like Wreck It Ralph (Disney, 108 minutes) and Despicable Me (Universal, 95 minutes) as well as the screening of The Princess Bride (Act III Communications, 98 minutes) to conclude the movie series on Tuesday, August 27. 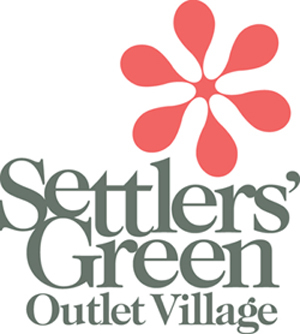 Setters’ Green Outlet Village has announced the opening of two new outlet stores this spring. New Balance, the only athletic shoe company still manufacturing in the United States, is scheduled to open April 25 and will occupy approximately 4,400 square feet of retail space in the historic “airplane hangar” building, located at the entrance to the outlet center. Settlers’ Green is also pleased to announce the opening of Crocs, a world leader in innovative casual footwear for men, women and children, scheduled to open in late April. The company is a leader in sustainable manufacturing and in assuring the health of its workers, in the US and the world. In 2011, New Balance announced their partnership with the City of Boston for the New Balance Hubway Bike-Share Program. The program provides members low cost access to bicycles for in and around the hub of Boston. They have also recently established a $7 million initiative with Boston Children’s Hospital for the Prevention of Childhood Obesity, a growing problem in the US and the world. For more information about New Balance, visit newbalance.com. Since its inception in 2002, Crocs has sold more than 200 million pairs of shoes in more than 90 countries around the world. The brand celebrated reaching $1 billion in annual sales in 2011. In 2007, the Colorado-based company announced its Crocs Cares Program, which provides more than 2.5 million pairs of shoes to impoverished areas, as well as those affected by natural disasters in more than 40 countries. Crocs will be located in B10 next to Wilson’s Leather Outlet at Settlers’ Green Outlet Village. For more information about Crocs, visit crocs.com. Settlers’ Green Outlet Village, located in North Conway, New Hampshire, is a 60 plus store outlet center with a unique village setting offering landscaped courtyards, cafes and restaurants, and a wide variety of outlet shopping experiences including Coach, J. Crew, Banana Republic, Nike and more.